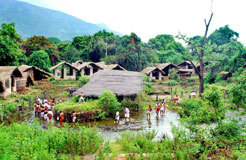 Neerezhunnallathu takes place on “Makam” In the month of “Edavam”. It is the day for the “Sthanikar” to step on to Akkere- (the other shore-) land of Swayambhoo, for the first time. “Thanneer kudi”, is followed by “Akkere” kadakkel – or entry to Akkere. In memory of the discovery of Swayambhoo, Neerezhunnallathu rites are performed. 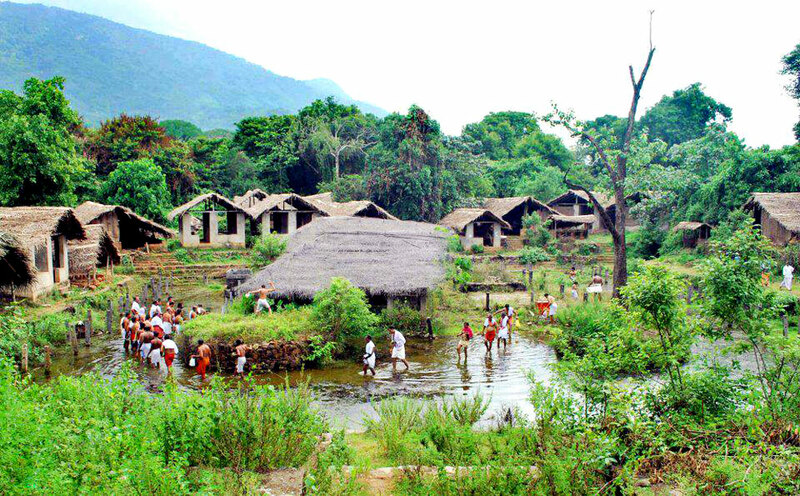 Starting off from Ekkere temple, keeping a particular pace, through a specific passage in the Kavu, the group of imminent “Sthanikar”. 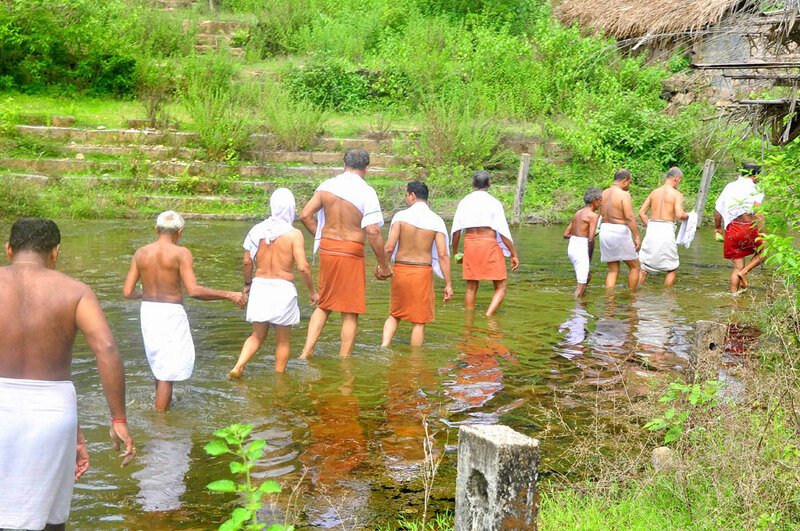 Enter the holy site after bathing in “Vavali” Water from Vavali; collected in the leaf of “Koova” or “Wild turmeric” with “Ottapilan” and “Padinjitta” sthanikar enter “Manithara” and perform “Abhishekam” at the site of “SwayamBoo” respectively followed by other Sthanikars. Its only once a year, during ‘Neerezhunnallathu’ and “Poorallavam” days that priest enter “Aayillarkavu” for conducting poojas and distributing “Appada” as prasadam.